We are open from 7.30am to 6.00pm Monday to Friday, 51 weeks of the year. Westville’s family ethos and academic philosophy is embraced by Westville Woodlands and delivered by a dedicated team of qualified staff. Woodlands is a warm, fun and friendly learning environment. Residing within a newly built, state of the art facility our teachers fire a child’s imagination and make education magical. Children experience the wonder of learning new skills, building friendships and exploring the great outdoors through our beautiful woodland and adventure play area. 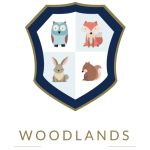 Westville Woodlands promotes intellectual curiosity, independent thought, effective learning habits and social skills. We focus on each child’s individual learning and development, ensuring that all our children are happy and achieve their full potential. Woodlands delivers an outstanding start to life, developing the foundational skills necessary for children to thrive.